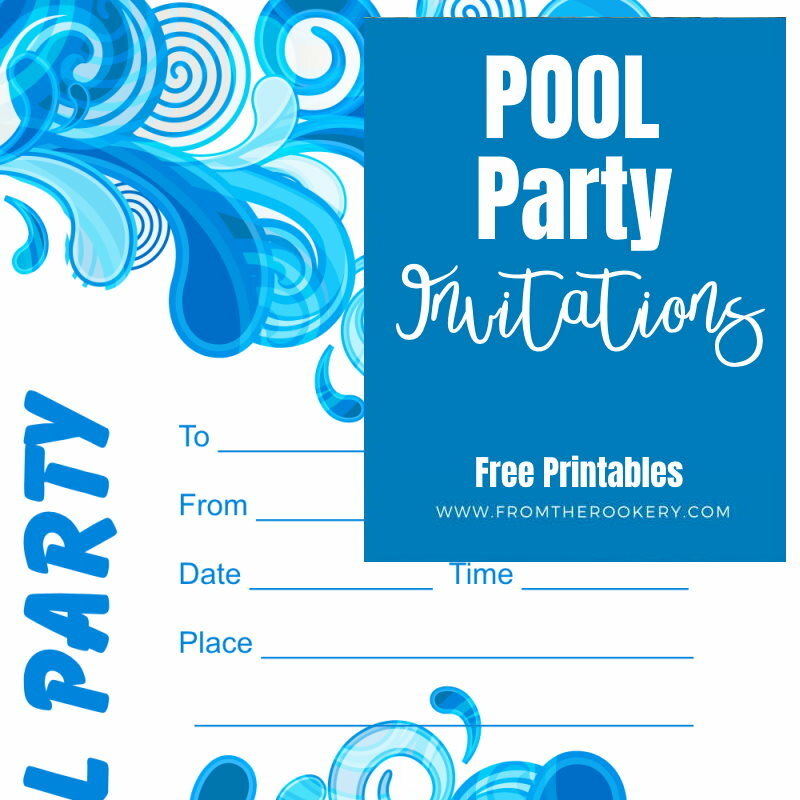 Looking for adult pool party invitations? Look no further. 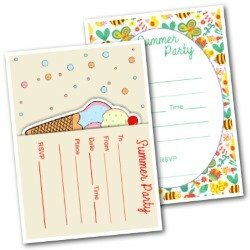 Here are some wonderful 'grown up' invites for parties - all free and printable! 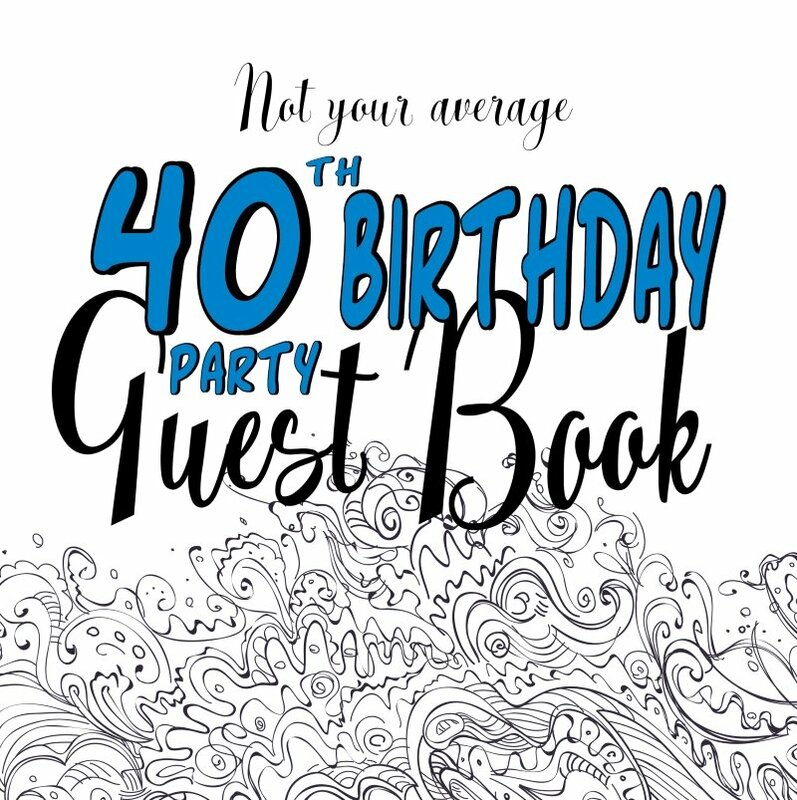 You don't need to sign up - just choose your favorite and download it straight away. 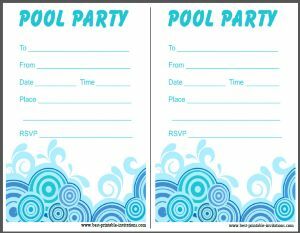 Sometimes adult pool parties need a little more sophisticated invites than the norm! That's where this page comes in. 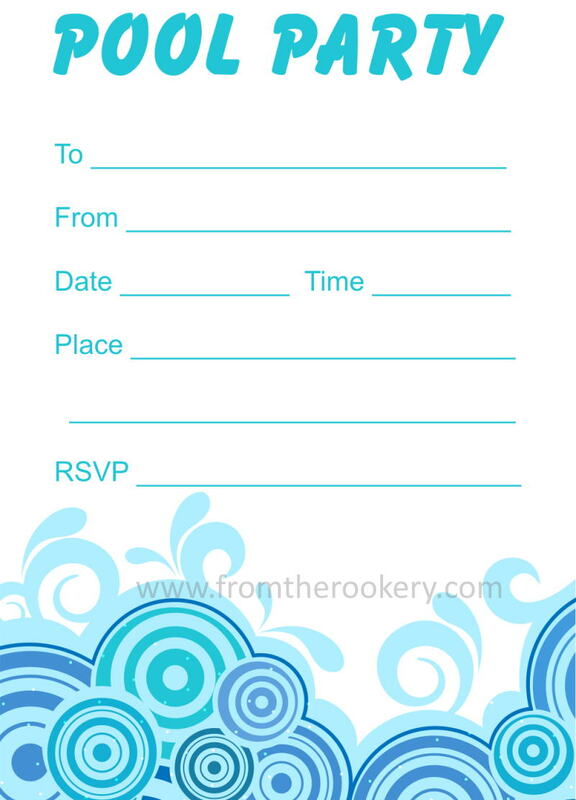 Two beautiful and stylish invitations to use for having friends over to swim or bathe! 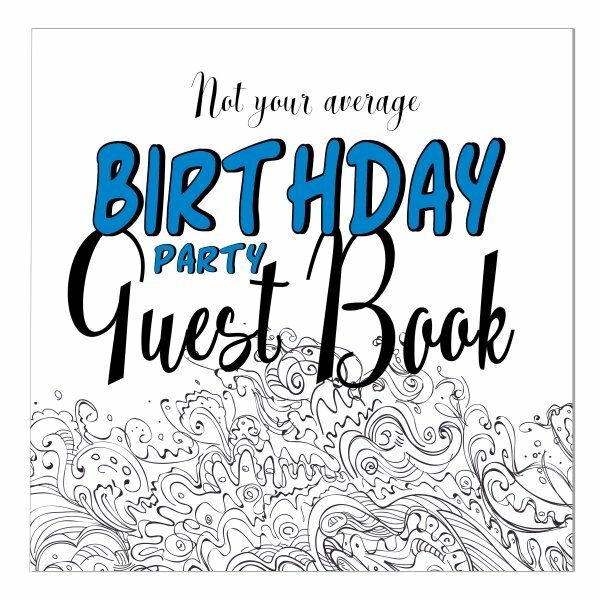 I think this is my favorite design! 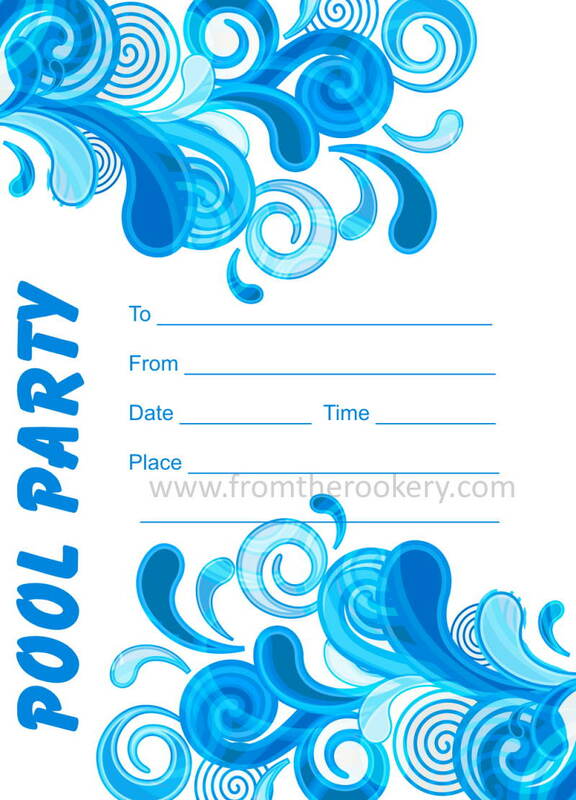 Strong blue water splashes make a really striking invite. 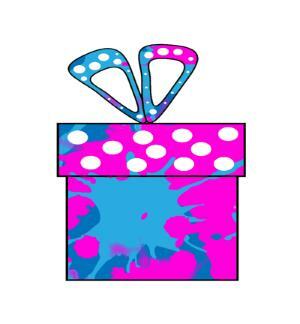 Although the color is quite bold, this one is great to print because of the plain background. Perfect for adults. Prints two per page. Just cut apart and they are ready to use. 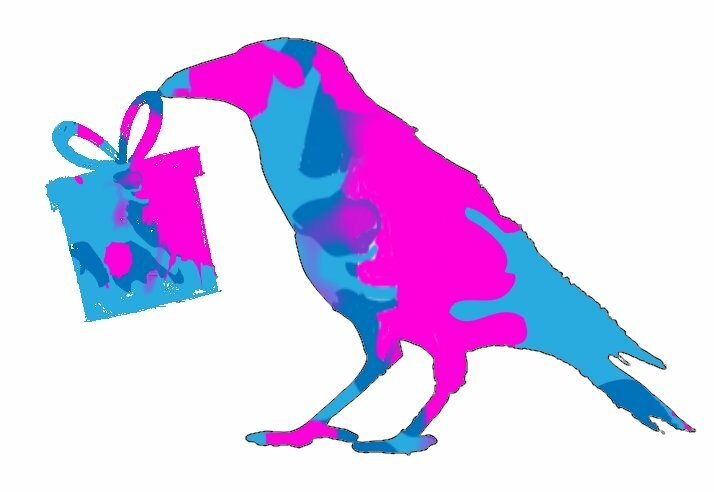 This one is a little more subtle! Soft blues in an almost retro wave pattern. 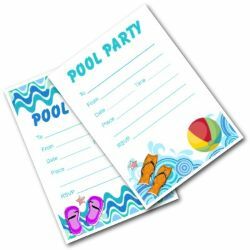 Great for all types of pool parties, whatever your age. 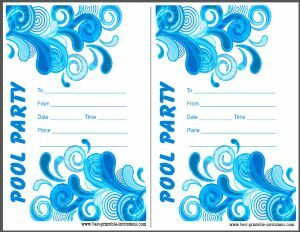 Adult pool parties are great fun - both formal and informal. 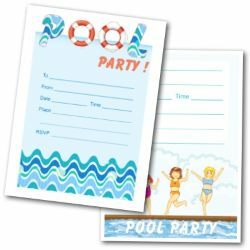 They can be nothing more than inviting a few friends over for a swim and BBQ - to much more elaborate celebrations. Have a place to hang towels to dry. We always stock up on plastic glasses - glass is just too liable to be broken around the pool. And there are all those bare feet! Hang some sheets or large towels on rope between trees to make an impromptu changing area.